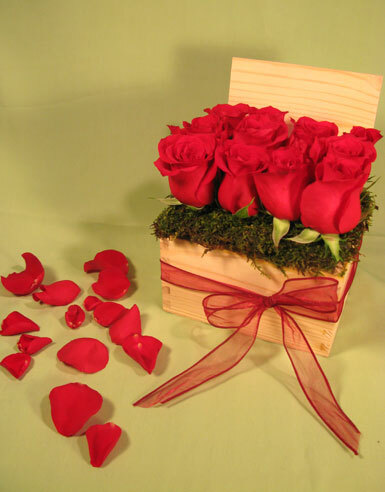 A dozen roses arranged in rows in a pine box accented with French ribbon. We specialize in unique rose displays and offer wooden box of roses, red roses paves with short and lined roses. We will have your roses in a box delivered promptly to your home or office in Beverly Hills, West Hollywood, Santa Monica and greater Los Angeles area.